Established in 1992: CHC of New London serves residents of the city of New London and the surrounding towns of New London County, the shoreline, and bordering towns of Rhode Island. It is the hub for community based and school health services. 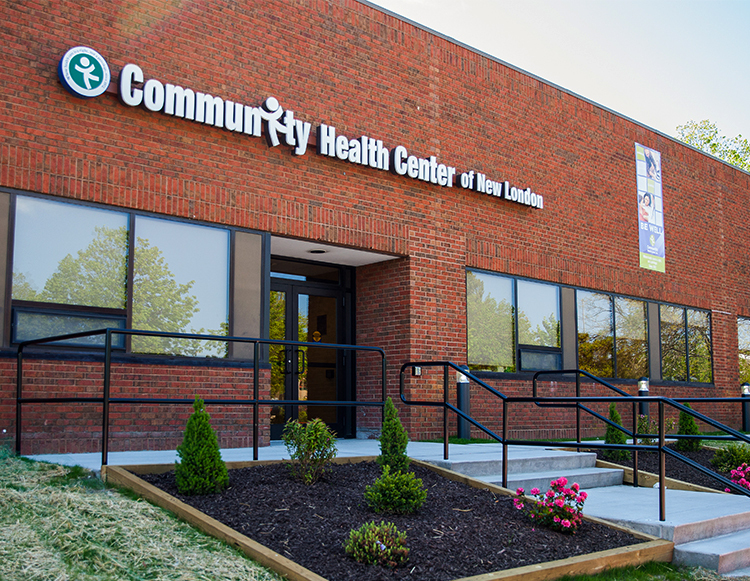 CHC of New London started in the summer of 1992 in partnership with Lawrence and Memorial Hospital and the city, taking over a city-run clinic that had been in existence since 1970. The partnership then won state and federal support in subsequent months. Parking is available either in the front or side of the building. Nalini Doppalapudi, DMD – BDS, DDS & Residency: Government Dental College and Hospital. DMD: Boston University. Kristin Finigan, APRN Resident – BSN: Tufts University. RN & MSN: Yale University. Natalie Guarin, APRN – BA: Middlebury College. MSN: University of Vermont. Sarah Hunt, APRN – BSN: University of Connecticut. MSN: Fairfield University. Delphine Hyppolite, APRN Resident – BSN: Binghamton University– State University of New York. MSN: Upstate Medical University – State University of New York. John Monroe Jr., MD – BS, Duquesne University. MD: Jefferson Medical College. Residency: Abbington Memorial Hospital. Phyllis Odoom, DDS – BA: Lawrence University. DDS: University of Michigan School of Dentistry. Erica Preston, PsyD – BA: Northwestern Universityl. PsyD: Continental Casualty. Mariana Salas, MD – BS: University of Miami. MD & Residency: Meharry Medical College. Stephen Smith, MD – BA & MD: Boston University. Residency: Highland Hospital of Rochester. Kerry Stephenson, APRN. MSN: Yale University. BS: Skidmore College. Victor Tirado Montanez, MD – BS & MD: University of Puerto Rico. Residency: University of Maryland Sheppard Pratt.